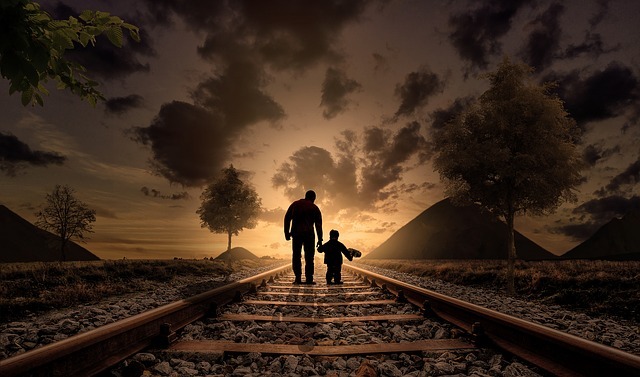 *Disclaimer - This post contains affiliate links and I will get commission if you order with my links. 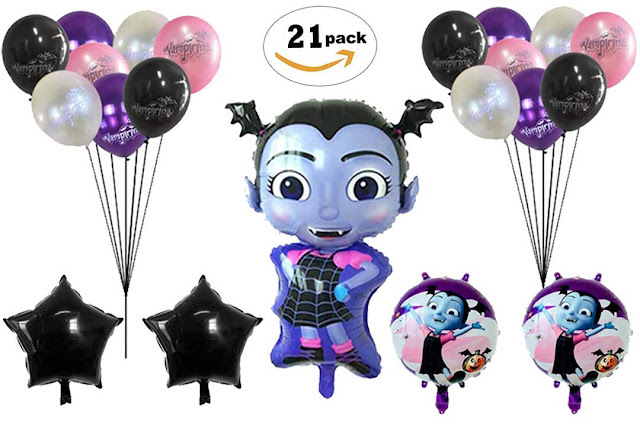 Are you looking for some Vampirina birthday ideas? With Vampirina being such a popular Disney Jr show, I know our daughter loved having a Vampirina birthday party for her second birthday. 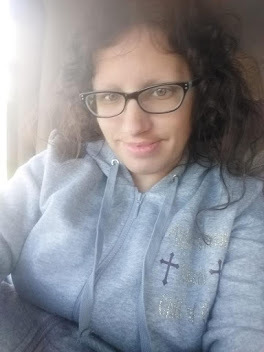 We had a fun time doing hers, but with it being a small get together just with my in-laws and a sister in law and niece, we didn't need to order anything but her cake. Once she gets a bit older and in school, we will for her birthday parties of course! We got her Vampirina 1/4 sheet cake at Walmart for just $23.98 which fed quite a few! I ordered it with half vanilla and half chocolate with whipped icing. I ordered it ahead of time to pick up on her actual birthday. And, it was absolutely DELICIOUS! We love to order their birthday cakes from Walmart. For me, it's because they have a big variety and I love the whipped icing! 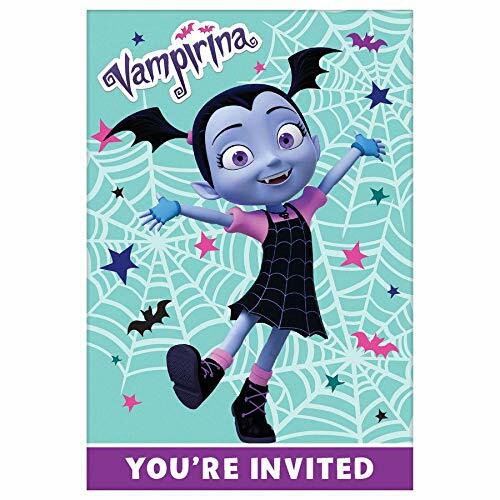 Vampirina is such a fun show for small kids and is a fun theme for a birthday party for sure too! I know our daughter enjoyed us getting her the cake and she said "Rina!" for Vampirina. It was absolutely adorable and was fun to watch her blow out her candles as well. 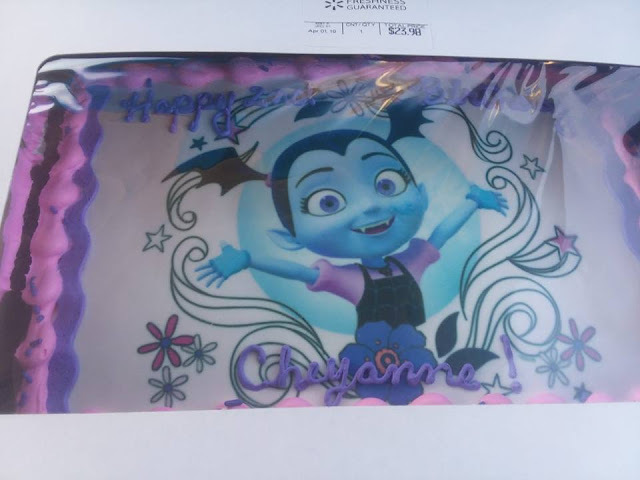 Here is a fun idea for a Vampirina gift for your little girl! I know our daughters love theirs. 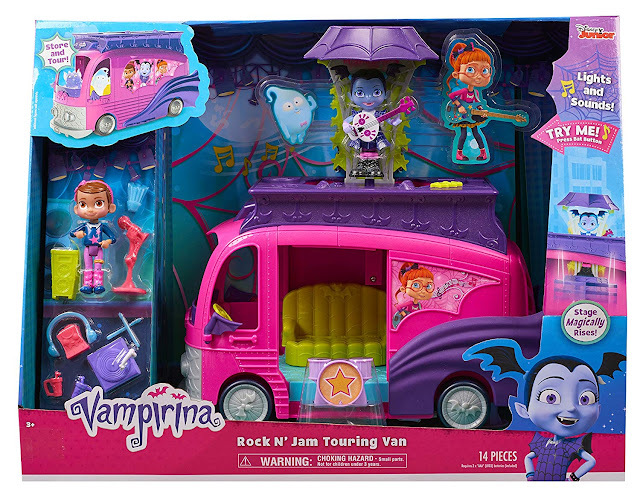 Vampirina Rock N Jam Touring Van Toy is a really fun toy for toddlers and older kids as well. We have this one and it's a fun one so far and they have had it since Christmas 2018 and still play with it! It's only $37.99. Looking for some birthday party supplies for your little one? 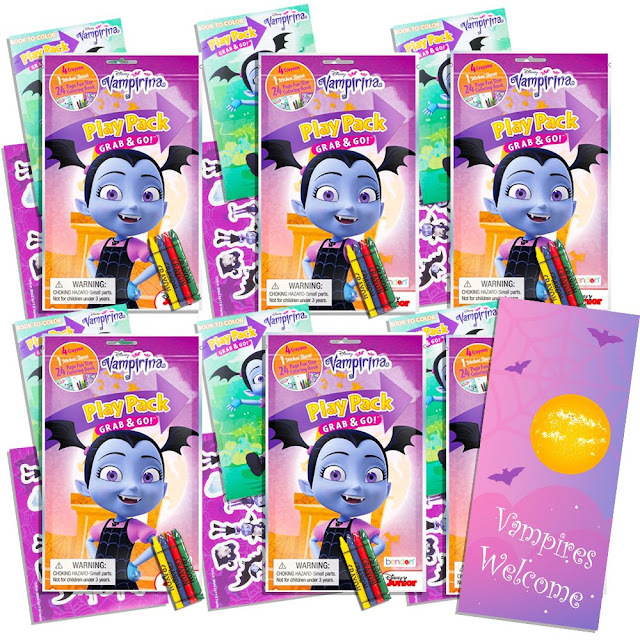 BirthdayExpress Vampirina Party Supplies 24 Invitations is a great deal with 24 invitations to send/give out to her guests, and it's only $19.18 for these! Disney Vampirina Ultimate Party Favors Packs -- 6 Sets with Stickers, Coloring Books and Crayons is a fun party favor to give your child's guests as a thank you for coming and one that they will love and have fun with too! It's only $9.98 for a 6 pack! Vampirina Balloons Birthday Party Supplies [21 Balloons and 2 String ] is a nice party pack of balloons because it comes with 21 balloons and 2 strings to decorate with, for just $13.99! This would be perfect for a party whether it's at your house or elsewhere. 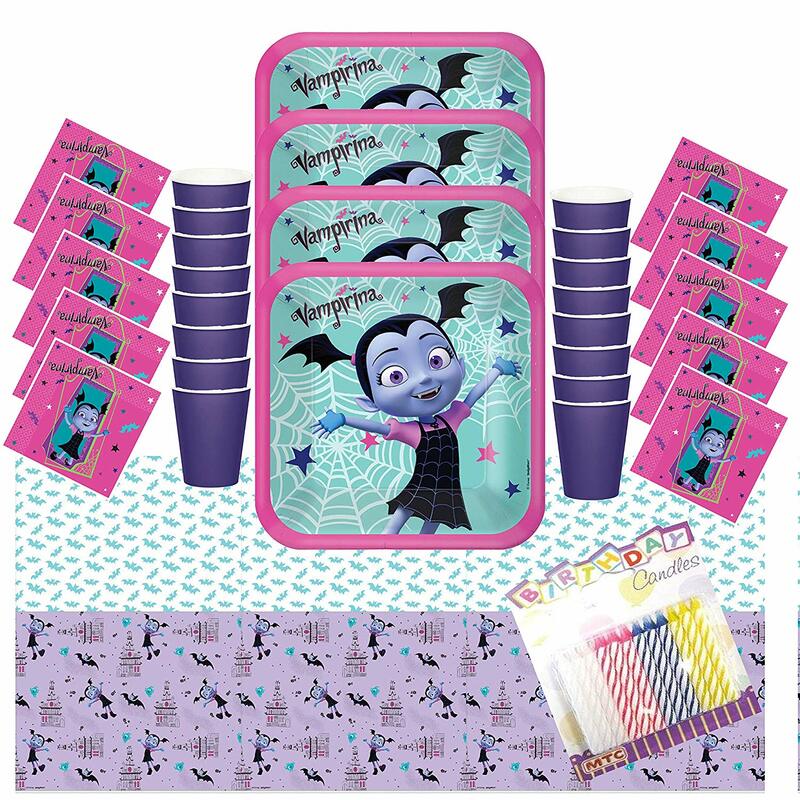 Disney Vampirina Party Plates Napkins Cups and Table Cover (Serves-16) with Birthday Candles is a fun set for your little one's party with enough napkins, plates, and cups for 16 which is normally more than enough for a child's birthday party. You can get this set for just $29.99! You Can't Forget To Get Her An Outfit To Wear! 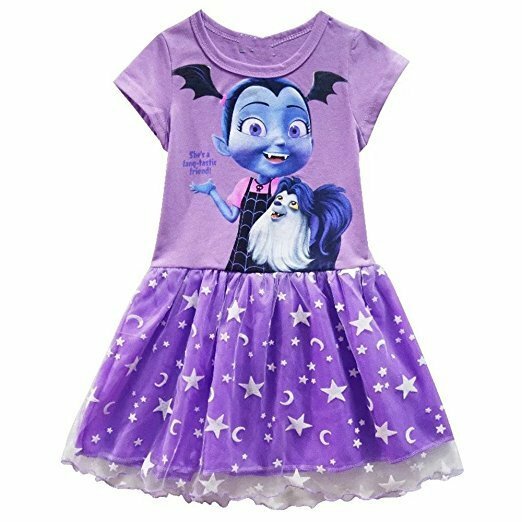 Vampirina Little Girls' Dress Princess Cartoon Party Dress is an adorable dress for your little girl to come to her birthday party in, all vamped up with a Vampirina dress!